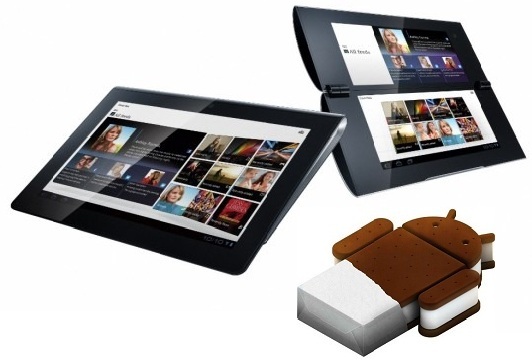 Sony was a little late to the tablet business but is on time to announce the Android 4.0 Ice Cream Sandwich upgrade for its Sony Tablet S and Sony Tablet P.
The Japanese giant has announced that the Ice Cream Sandwich upgrade will be arriving for both the tablets in coming April. Included with the upgrade are a few new features which will be a treat for the Sony Tablet owners like the additional photo functionality which will bring in ability to them to activate the tablets’ cameras directly from their lock screens, edit photos in the gallery application, and take panoramic photographs too. 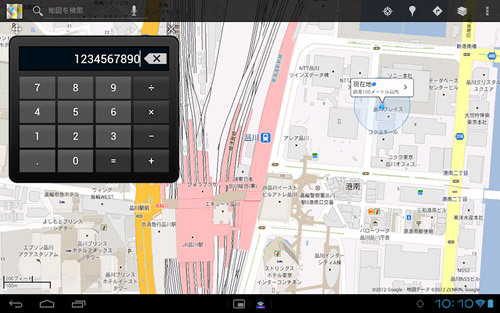 Also with it Sony will bring in the “Small Apps” widget like feature which will allow users to use apps like a calculator or remote on apps which are already open. Another feature which will come in is an app called Recopla, for all the users who own Sony’s Blu-ray recorders, which will go on to act as a remote and allows for streaming of recorded content over Wi-Fi directly from the Sony Tablets. Sony has also announced a Wi-Fi only version of the Sony Tablet P with a price tag of about $600 which will come on April 21 and 5 new colours in swap shells for Tablet P costing $60 each.